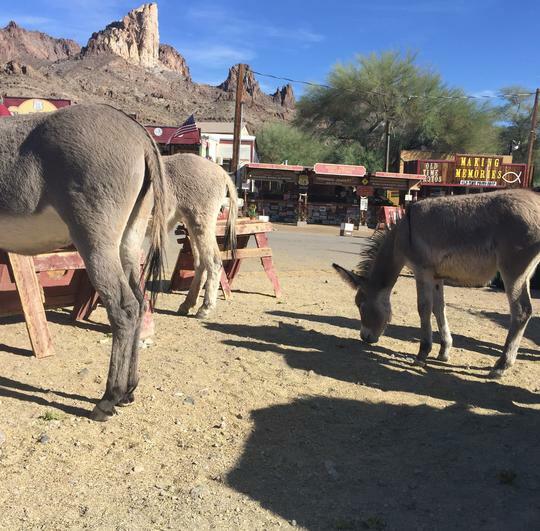 Oatman was first established as a tent city in the early 1900s. 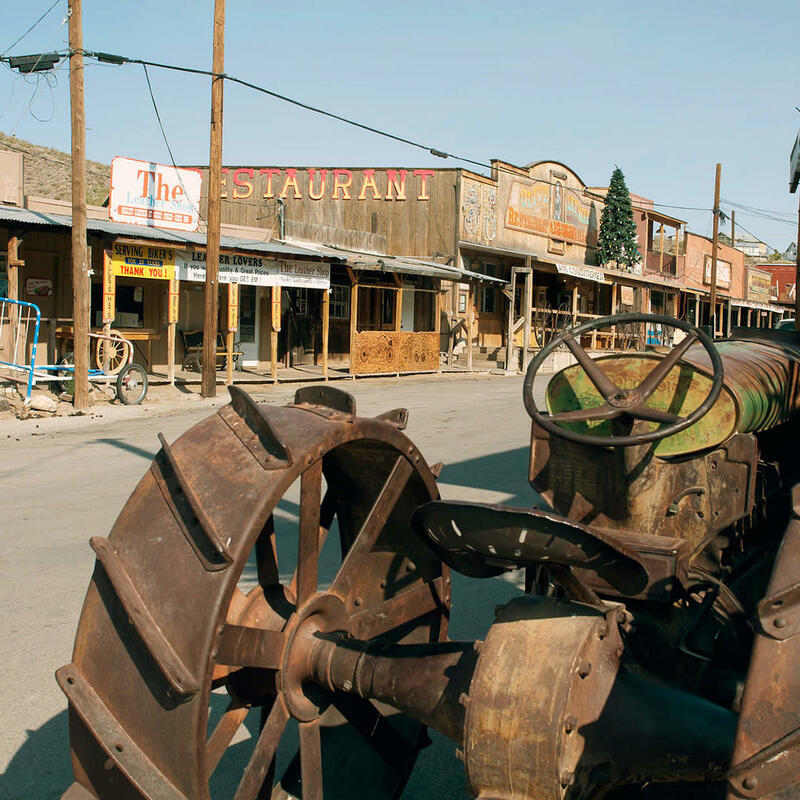 The town was a mining camp until two miners struck it rich. 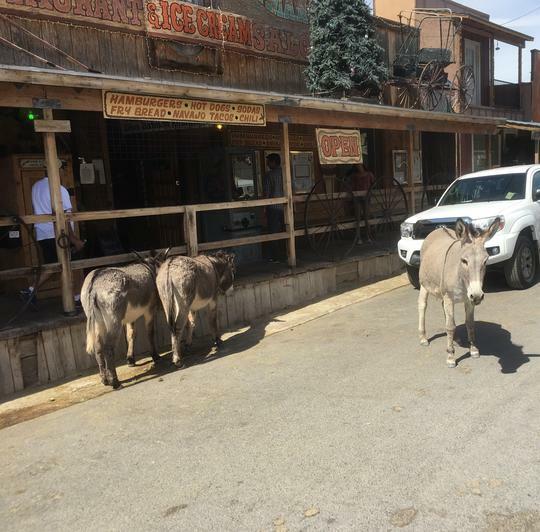 After that hundreds of settlers came to town and the population swelled to 3,500 residents! 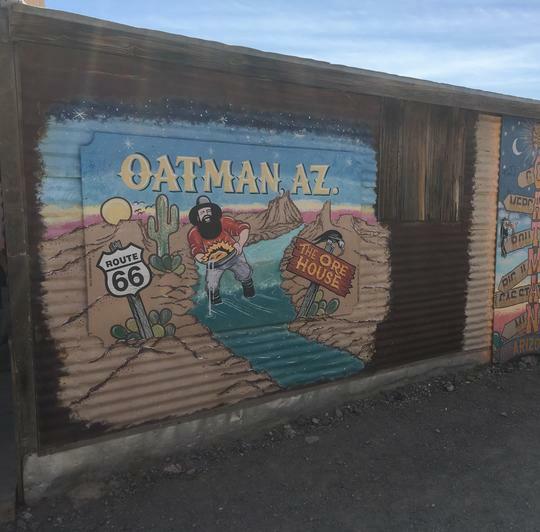 Nowadays, Oatman's residents number a mere 100. 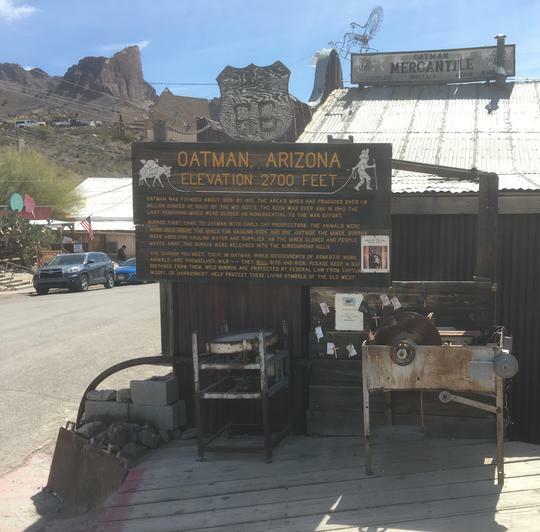 Within this small town there lies a bug attraction - the haunted Oatman hotel. Mischievous ghosts are said to haunt the hotel from Clark Gable and Carol Lombard to an Irish Miner who plays bagpipes to a former chambermaid of the hotel. 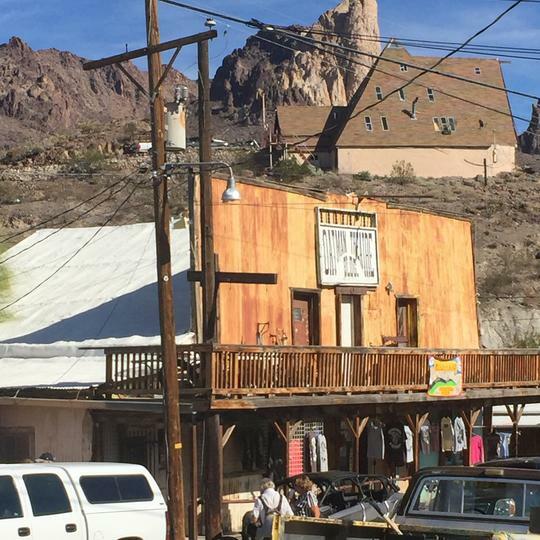 Today, the Oatman Hotel no longer provides guest accommodations but serves as a museum, restaurant, and gift shop.